Chabad at CSU is a home-away-from-home for thousands of Jewish Students at Colorado State University and the surrounding universities. Chabad anticipates and serves the needs of students on a social, educational and spiritual level. At Chabad, all students are welcome, regardless of background, affiliation, and level of observance. The weekly Shabbat dinners and lunches at Chabad will provide Jewish students -- from the freshman to the MBA -- an intimate and elegant setting to eat, meet new friends from every niche of the campus, and celebrate Shabbat in a warm and enjoyable manner. There is no charge for a Shabbat dinner at Chabad for Jewish students, thanks to our wonderful sponsors. To sponsor a Shabbat at Chabad, please contact us. 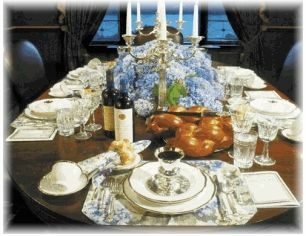 Bring your friends and taste one of the greatest treasures known to the Jewish people -- Shabbat. Reservations appreciated but not required. Would you like a Mezuzah for your Dorm Room?